Eight new case studies have been added to Oppla by the AQUACROSS project. The case studies are a major source of information and data and ensure interaction across aquatic ecosystems as well as disciplines. 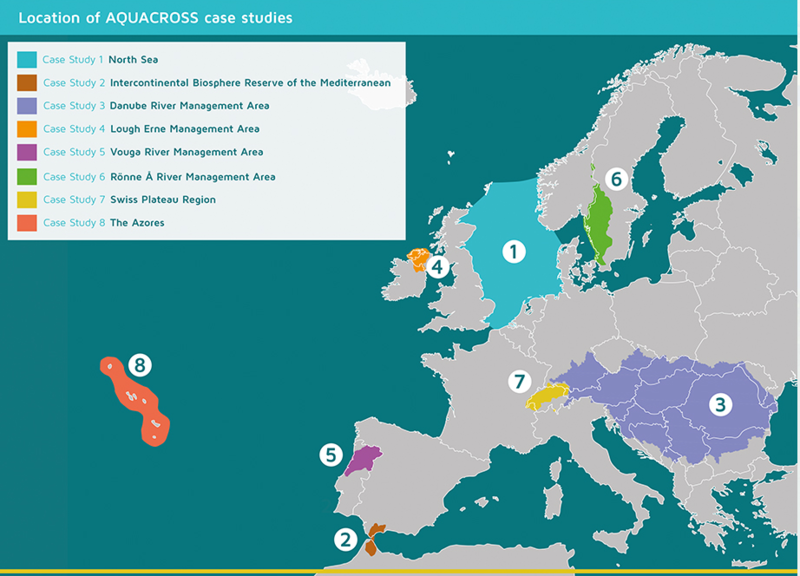 AQUACROSS is a Horizon 2020 project, which aims to support EU efforts to protect aquatic biodiversity and ensure the provision of aquatic ecosystem services. As such, AQUACROSS seeks to advance knowledge and application of ecosystem-based management (EBM) for aquatic ecosystems to support the timely achievement of the EU 2020 Biodiversity Strategy targets. In this regard, AQUACROSS aims to develop and test an assessment framework, which considers the full array of interactions, including human activities, within aquatic ecosystems. The AQUACROSS Assessment Framework will be put in practice in the eight case studies located in different European countries and regions. In addition, the case studies will test the AQUACROSS Assessment Framework in conjunction with stakeholders. Case study stakeholders help co-create concepts and develop products, share experiences with implementing policy and respective management approaches, as well as provide critical feedback on project outputs. This will ensure stakeholder engagement, knowledge exchange and social learning to achieve practical policy solutions and end-user uptake. Representatives from science, policy, business and AQUACROSS case studies will help steer project activities and validate results.